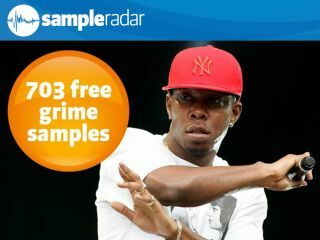 Dizzee Rascal: one of grime's founding fathers. Welcome back to SampleRadar, the place to come for high-quality, royalty-free samples. You can keep your credit card in your wallet: you won't be required to pay for anything here. We take inspiration from East London this week, as our specialist subject is grime. Dizzee Rascal, its most famous exponent, may have diversified in recent years, but his 2003 debut Boy in da Corner was the album that helped to popularise the movement. The samples are split into seven self-explanatory categories: Bass, Beats, FX, Guitar, Kits, Synth and Vox. All the samples are supplied as 24-bit WAV files so can be imported directly into your DAW of choice. Because they're royalty-free, you're welcome to use them in your music in any way you like - all we ask is that you don't re-distribute them. The grime samples are supplied in a zip file, so you'll need to extract them before you can see them. Enjoy!